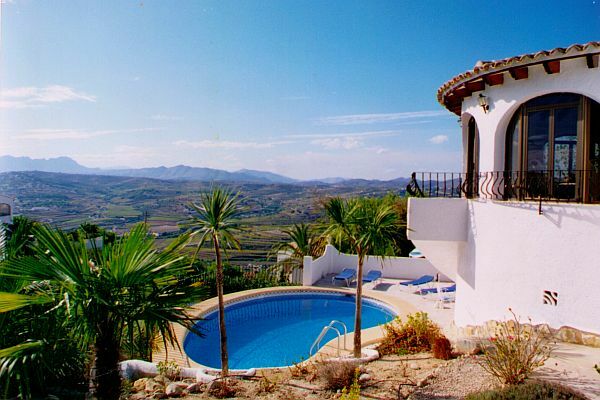 Indulge yourself by renting a fantastic villa in Spain for your holiday. We have villas in Moraira and Javea. At VillaSpain we have a great choice of privately-owned luxury villas in Spain in the beautiful Costa Blanca. Villa holidays in Spain are great for the whole family or a group of friends - our properties sleep up to six persons in three bedrooms. Or you can rent a villa for just two people - your private hideaway to relax far from the bustle of your working life. The ultimate in luxury holidays in Spain on the Costa Blanca is surprisingly affordable when you rent a villa from Villa Spain. We know the area intimately, and have selected the very best privately-owned villas with private and shared pools, and all the facilities you could wish for. You'll find your ideal Costa Blanca holiday villa rental here at Villa Spain - there's sure to be one that fits your needs and budget, in some of the area's most sought-after resorts. Why book with Villa Spain? UPDATE 2019 - we have decided not to offer a large choice of villas, just a select three, as we seek to semi-retire. We will still continue to offer the same service, with the local team in Spain. If you would like to rent the villas we used to rent then click here.